The Bruins carried us on a wild ride last spring, miraculously escaping the first round of the Stanley Cup Playoffs, cruising through the semis and Conference Finals, and losing in heartbreaking fashion in the Stanley Cup Finals. The team was running on fumes by the end. Captain Zdeno Chara was suffering from multiple injuries and Patrice Bergeron played in Game 6 with a punctured lung and separated shoulder. The Chicago Blackhawks were the better team. This week a new journey begins. The Bruins captured the President&apos;s Trophy this year, amassing the most points in the NHL regular season, but that means nothing if they underachieve in the playoffs. While the Bruins have struggled in the first round under Claude Julien, this team is built for a deep run. They have incredible depth at the center position and can roll four lines unlike any other team in the NHL. 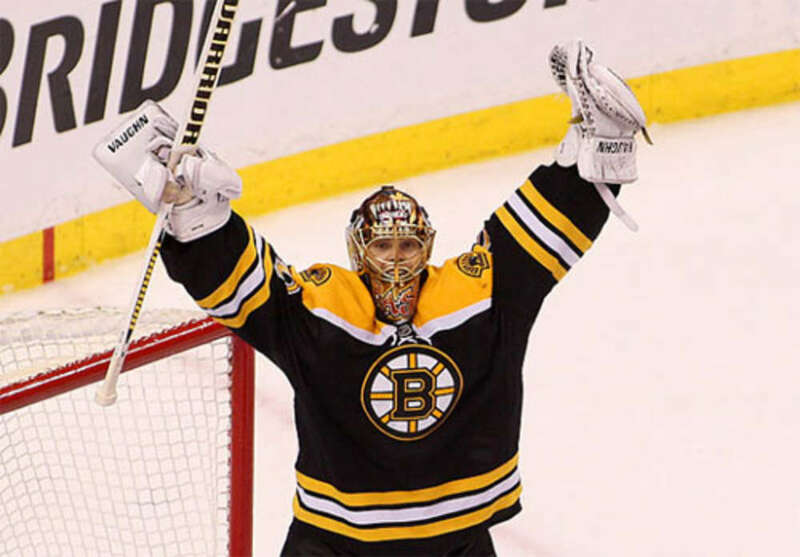 Tuukka Rask has claimed the mantle of Tim Thomas. He was superb in net for the Bruins this year and will likely win the Vezina Trophy as the league&apos;s top goalie. The only question for the Bruins is their relatively youthful corps of defenseman. Besides their giant stalwart Chara the Bs don&apos;t have much postseason experience on the blue line. It&apos;s a potential weakness. The first test arrives Friday in the form of the Detroit Red Wings, another Original 6 franchise. The Bruins have not faced Detroit in the Stanley Cup Playoffs since 1957 but realignment has placed the Wings in the Eastern Conference so we&apos;ll likely see more of them in the years to come. Historically, Detroit is a dangerous team in the playoffs and they will pose a difficult test for Boston. Like the Bruins, they have some young defensemen who may get exposed as the series plays out. Unlike Boston, they will rely more on speed and odd-man rushes to generate their scoring opportunities. They have one of the best players in the world in Pavel Datsyuk and former University of Maine standout Gustav Nyquist has emerged as one of the fastest skaters in the league. Chara became acquainted with Nyquist&apos;s speed earlier this month. The Bruins should take care of business against Detroit with their methodical attack and three-zone prowess. If they win, chances are they will have to go through Montreal and then Pittsburgh for a return trip to the Finals. That&apos;s not an easy road and if the Bruins have one weakness it&apos;s defending speedy forwards, which all three teams possess. But there&apos;s a reason Boston was the best team in the NHL this year. The Bruins essentially have two top lines plus the best third line in the league. The Krejci line has been incredibly consistent this year thanks to Milan Lucic&apos;s conditioning and the addition of Jarome Iginla. Opponents will have to choose whether to deploy their best defensive forwards against the Krejci line or Bergeron line. Pick your poison. The team is playing their best hockey of the Julien Era, which is quite a statement considering they&apos;ve reached the Finals two of the past three years and drank from the Cup in 2011. Julien has honed a team that battles every night and never lacks in compete level. It&apos;s an exacting system that very good players like Phil Kessel and Tyler Seguin couldn&apos;t live up to. For this city and this team, it works. Boston Bruins playoff hockey means Gregory Campbell killing off a power play on a broken leg and Patrice Bergeron basically risking his life to play in the Cup Finals. The players leave it all on the ice and the fans appreciate their effort. Ultimately, it&apos;s a formula for perennial success come springtime. And now spring has returned. The snow has melted and the Duck Boats cruise the streets of the Back Bay. Will they be involved in another June parade? Stay tuned.